Nel 1994 c'era chi profetizzava un'editoria e un giornalismo crossmediale capace di adattarsi a nuove e futuribili tecnologie per restare al passo coi tempi. Come i tablet. Secondo The Verge il tablet di Redmond prova a fare tutto, ma non riesce a fare niente davvero bene. Walt Mossberg è dello stesso avviso. 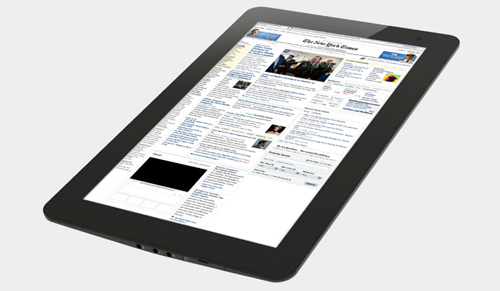 It's too hefty and costly and power-hungry to best the leading tablet, Apple's full-size iPad. It is also too difficult to use in your lap. It's something of a tweener -- a compromised tablet and a compromised laptop. Difficile non concordare con l'opinione dello staff di Wirecutter sul tablet di Apple. The iPad mini is the best tablet to get and lets be honest, it's way better than the full sized iPad for nearly everyone. I'd even go so far as to say that the full sized iPad is plain obscene after using the mini. I'm embarrassed to say this because I've been part of the problem by not talking enough about the heft. But the truth is that we've all been overlooking the iPad's weight because everything else was good about it. It's not anyone's fault-it's physics and trade offs that make a 10-inch tablet weigh this much when its made of these materials with a battery life this long. It was the best tablet for most, because it was the only one to get with iOS and its amazing library of apps and great hardware. But I can't say the heft is ok anymore. You didn't hold it like a magazine, which is the dream of a tablet, because it weighed as much as coffee tablet book or a small telephone book. You can agree or disagree, but it's indisputable that the mini is a better hold because you don't have to grip it like a steering wheel or like an underpowered circus strongman. And what good is a mobile gadget if its hard to carry and hold? Difficile non innamorarsi a prima vista del piccolo tablet progettato a Cupertino. Immaginate una spiaggia e due gelatai che si sono divisi in altrettante parti uguali la sua superficie. In quale posizione sarà consigliabile posizionare i loro chioschi per ottimizzare il flusso dei clienti? Ovviamente al centro della spiaggia stessa. Questa posizione permetterà infatti al gelataio di sinistra di raccogliere tutti i bagnanti del suo lato e magari carpirne qualcuno anche dell'altro lato. Lo stesso dicasi per il gelataio di destra. Ora sostituite alla spiaggia il corpo elettorale e ai due gelatai il Partito Democratico ed il "partito unico delle libertà". The Verge ha analizzato il nuovo tablet di Google. It feels good to hold in your hands. That soft backing strikes me as decidedly different than other tablets in its class, and seems far more smudge resistant than something like the Fire. The bezel on the front looks a bit too large for the screen size, though when reading a book I found the extra real estate helpful because I had something to grip (in fact, Duarte told me that the design was intentional, not a victim of cheap parts). There are a few very minor build issues, like the fact that the display can give a little and cause the LCD to ripple if you really press hard against the screen, but most users will never press hard enough to notice. In all, I'm impressed by what Asus and Google have done with the Nexus 7. It's a classy, well-made product from a design standpoint. It may not be the most original, thinnest, or lightest tablet on the market, but it's certainly a respectable and refined entrant to the race. Bottom line - this is a much better feeling and looking tablet than anything else in its price range. Google lancerà il suo tablet economico questa sera alla Google I/O conference. According to an allegedly leaked training document, this is Google's new tablet, a 7-inch Tegra 3 device running Android Jelly Bean. The document says that Nexus 7-as it is named-would hit the streets in July for $200. As rumoured, Google is allegedly going to announce a 7-inch, Nexus-branded tablet called the Nexus 7. According to this supposed leak, it's built by Asus, with a 1.3Ghz quad-core Tegra 3 processor, GeForce 12-core GPU and 1GB of RAM with two different storage variants: 8GB and 16GB. The Nexus tablet will also feature NFC and run Google Wallet (probably only in the US) and Android Beam. The screen is an IPS display with a 178-degree viewing angle, running a resolution of 1280 by 800. The device will also sport a 1.2 megapixel front-facing camera. The battery will also give you 9 hours worth of operation. The 8GB model will set you back $199 USD and the 16GB will cost $249 USD. No word in the document on local prices. Surface il tablet in puro stile Metro con Windows 8, schermo da 10.6" full-HD e tastiera opzionale con aggancio magnetico del tutto simile alle Smart Case di iPad. Potenzialmente dirompente. Ottimo competitor per i tablet Android. Siete ad abbronzarvi in una assolata spiaggia di Alassio o ad assistere ad uno spettacolo teatrale sulla Fortezza del Priamar a Savona, ma non potete rinunciare ad aggiornare il vostro blog? 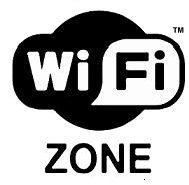 Beh Savona Web, portale turistico della Riviera delle Palme e della Provincia di Savona, mette a disposizione un comodo servizio di ricerca degli access point WiFi. I risultati delle ricerche includono anche gli hot spot FON. Crosspost su Rhadamanth.net Weblog, GBC. Un concept su come migliorare l'editing su iPad. Ecco perché il nuovo iPad è più caldo, 33,6 °C rispetto ai 28,3 °C di iPad 2. 1. Twice the LEDs: That means more heat coming from more LEDs. This is especially a problem at full brightness. 2. 2.5X the power needed: The brightness efficiency is lower because the new iPad has more pixels (which means more transistors) compared to the iPad 2. More pixels and transistors take up more space, meaning less opportunity for light to pass. "So they basically have to blast light through the LCD to make it come out." Soneira adds: "I measured the LED power at maximum brightness–it's two and a half times greater than on the iPad 2." 3. Battery generates more juice: The battery has to push out more power. This makes the battery warmer. 4. Traditional LCD technology: Sharp's power-efficient IGZO technology was not ready for the new iPad. That forced Apple to use traditional–and less power efficient–amorphous silicon tech. 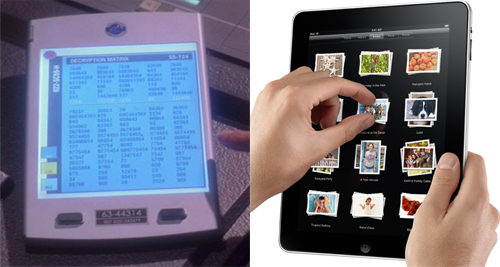 [To be fair the older iPads also used this tech but perhaps Apple was hoping to go 100% IGZO to offset the above]. Un lungo articolo di The Verge svela segreti, chiarisce dubbi e riporta ogni dettaglio del nuovo gioiello di Apple. Una spiegazione originale sulla scelta di apple di chiamare il suo nuovo tablet Nuovo iPad. Short term, that may be a little confusing. Presumably, Apple will eventually quit calling this thing "the new iPad" and just refer to it as the iPad. And when it does, that's going to be kind of weird because Apple is still selling the iPad 2. (At least for now.) 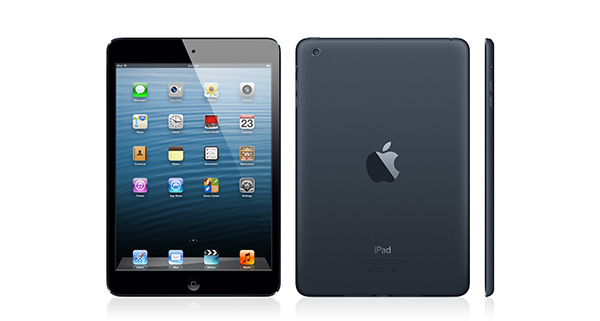 In six months, will you be choosing between an iPad and an iPad 2, with the iPad being the newer, better model? Do they just plan on calling it "new" until iPad 2 inventory runs dry? That's going to take some shaking out. But long term, it makes sense. Think about the iPhone. The iPhone 4S is the fifth generation iPhone, which would make an iPhone 5, if there was to be one, the sixth generation iPhone. See? Confusing! Which is why folks are already predicting that the next iPhone will simply be called iPhone, and not iPhone 5. Simple. 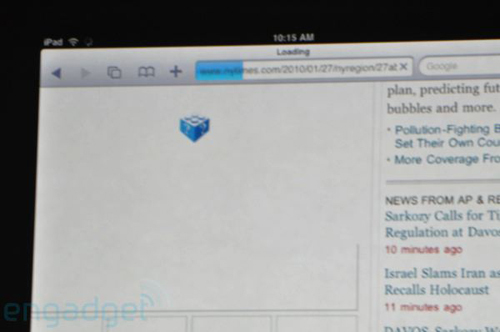 Il liveblog del lancio del nuovo iPad su The Verge. Dal Retina Display alla connettività LTE e fino al nuovo processore A5X. Ogni dettaglio del nuovo tablet di Apple raccontato da The Verge. Technorati Tags: Coppa del Mondo FIFA, calcio, Gruppo E.
Quelli di AllThingsD sono sicuri che il nuovo modello di iPad debutterà la prima settimana di marzo allo Yerba Buena Center di San Francisco. Il tablet gommoso per il terzo mondo sarà presentato al CES. The silicone case is nice, and likely produces the indestructibility Negroponte covets. It's not simply a box-top; you can see in the picture above (high resolution versions below) that one side has a curved cut in it; this will allow the user to choose whether the ports on the top are exposed or protected. Useful for all manner of things, I'm sure. The pattern on it looks like a solar cell, but it seems unlikely that an array of any efficiency could be shipped for as low a price as they'd want. Lastly there are the ports themselves: power, full-size USB (good for accessories), two ports which are likely audio out and in (or possibly both out, I can see that being a requested feature), and something that looks like a MicroSD slot, though I can't be sure. There also appears to be a front-facing camera at the top. Barnes & Noble ha presentato il suo interessante tablet da 7 pollici. Il nuovo Nook va a posizionarsi per prestazioni, contenuti e prezzo al fianco del Kindle Fire. Sarà guerra senza esclusione di colpi in un mercato potenzialmente enorme e appena aperto. Da questa sera SocialDust Blog Aggregator offre un nuovo servizio: un feed RSS degli ultimi dieci post aggregati. Technorati Tags: SocialDust, Blog Aggregator, syndication, RSS. Solo wifi. La navigazione su internet è affidata ad Amazon Silk, un browser che effettua il rendering delle pagine in remoto proprio come Opera mobile. 7 pollici. Un terzo del prezzo di iPad, anche se Fire non potrà mai in questa configurazione preoccupare il tablet di Apple. Film, musica e naturalmente libri, con un'interfaccia leggera e intuitiva basata su Android. Sincronizzazione affidata alla cloud. Il nuovo Kindle Fire va ad affiancarsi, e senza ombra di dubbio a superare, il Nook di Barnes&Noble. Nuovo sito e nuovi abbonamenti per fruire Topolino anche sul tablet di Apple, ma pure su PC e Mac. Il governo sudcoreano investirà 2 miliardi di dollari per sostituire tutti i libri di testo con dei tablet entro il 2015, grazie ad un accordo con Samsung. Per la connessione si appoggeranno al wifi, già pervasivo nelle scuole del paese. Tra code, ritardi e problemi tecnici, il percorso minato per mettere le mani sul miglior tablet sul mercato sin dal primo giorno avrebbe sfiancato anche uno stoico. La nuova versione del tablet di Apple è acquistabile sullo store online americano a partire da 499 dollari. Steve Jobs a sorpresa è sul palco dello Yerba Buena Center per la presentazione di iPad 2. A dispetto delle voci sulla sua malattia sembra discretamente in forma. 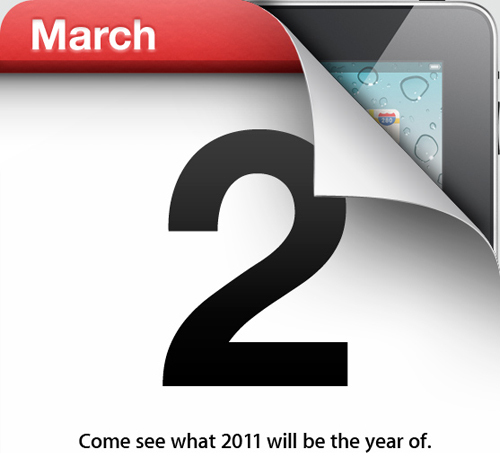 L'iPad 2 è più sottile dell'iPhone 4 e sarà disponibile a partire dall'11 marzo in due colorazioni, nero e bianco. In Italia dal 25 marzo. Il primo tablet al mondo con processore Dual Core, ma la vera rivoluzione si annida nei dettagli. Arriva un atteso cavo adattatore HDMI e la nuova Smart Cover, custodia raffinata, magnetica, in poliuretano - o pelle - e micro-fibra e che lascia scoperto il nuovo design di iPad. Stesso prezzo, stessi tagli di memoria, ma con un cuore Apple A5. Nuovi giroscopi e le due fotocamere, frontale e posteriore. Leggerissimo, ma con un'autonomia da primato. 10 ore in modalità attiva ed un mese in standby. Allo Yerba Buena Center viene presentato anche il nuovo iOS 4.3, dispobile dall'undici marzo per iPad, iPhone 4 e 3GS e iPod Touch di terza e quarta generazione. Sarà possibile condividere i file tramite wifi grazie a iTunes Home Sharing. Novità solo per iPhone 4, iOS 4.3 aggiunge il personal hotspot. Infine la gradita sorpresa di oggi. E' Jobs a presentare il keynote, ma è lo stesso Jobs a focalizzare l'attenzione sulle potenzialità dell'azienda. Il successo di Apple risiede nella perfetta integrazione tra software e hardware, tra informatica e design, tra scienza e arte indipendentemente da chi ne è al timone. Please join us for an invitation-only event at the Yerba Buena Center for the Arts Theater in San Francisco on March 2 at 10:00 a.m. Registration begins at 9:00 a.m. Please arrive early. RSVP to rsvp_media@apple.com. In attesa dell'imminente presentazione di iPad 2 il riassunto di tutti i rumor sulle specifiche del prossimo tablet di Apple. Risoluzione da 1024 x 768, nessun Retina Display che rimarrà prerogativa di iPhone 4. Si pensa invece ad una maggiore qualità anti-riflesso dei componenti in chiave anti Kindle. Il cuore di iPad 2 verrà rivoluzionato con un processore dual-core 1.2 GHz Cortex-A9 e una GPU Imagination PowerVR SGX543. La potenza sarà la vera grande novità rispetto all'iPhone 4. Ci si aspetta un notevole miglioramento nei livelli di consumo delle batterie. Due fotocamere. La frontale da 0.3 megapixel pronta a sfruttare FaceTime e la posteriore da 1 megapixel, adatta più a integrarsi con app di realtà aumentata che non a scattare semplici foto. Niente slot strani, porte USB o quant'altro si possa trovare sui tablet della concorrenza. Il design più squadrato ricorderà da vicino sia iPhone 4 sia l'ultima incarnazione degli iPod Touch. Tre le versioni commercializzate. Wifi, wifi + 3G e wifi + CDMA per operatori come Verizon. 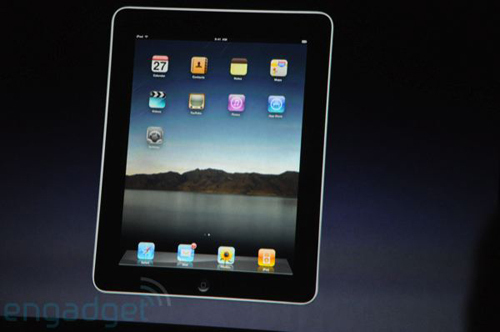 Infine vedremo Tim Cook sul palco a presentare il tablet. 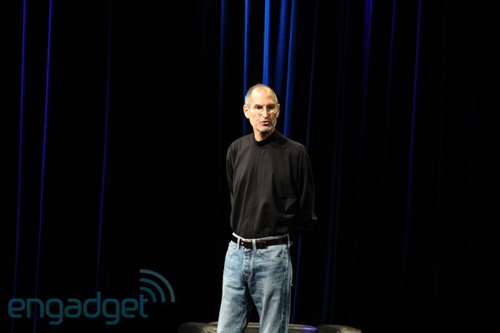 Un confronto con i keynote di Steve Jobs sarà inevitabile. Forse non tutti sanno che il numero 112 è utilizzabile in tutta Europa per chiamare servizi di emergenza, quali polizia, pompieri, pronto soccorso, ecc. Su questa pagina potete trovare le informazioni relative al numero 112 per i singoli paesi europei. Il Washington Post arriva su iPad con una app pensata per il tablet di Apple. Sarà completamente gratuito sino al 15 febbraio, dopodiché si potrà leggere gratis solo un articolo al giorno. Introducing The Washington Post app for iPad™. When it comes to immersing yourself in a news story, look no further than the source you trust: The Washington Post. Experience our award-winning journalism on a wide range of subjects including national news, politics, opinion, business, sports, entertainment and food. Read stories from your favorite reporters, columnists and bloggers like Chris Cillizza, Eugene Robinson, Kathleen Parker, Michael Wilbon, Ezra Klein and Carolyn Hax. closer to the story with our Live Topics feature. It combines the best coverage of the most talked-about news of the day with social media conversations from Twitter and Facebook. Enjoy rich photo galleries with work from our renowned photojournalists and extensive video content so you can go deeper into every angle of every story. Download stories to read later, even when you are offline. Once you download the app, in order to explore our content, simply log in with an existing washingtonpost.com account or register within the app. A complimentary full-access subscription to The Washington Post app for iPad is provided until Feb.15, 2011, after which time there will be a fee for full access. This app is ad-supported. 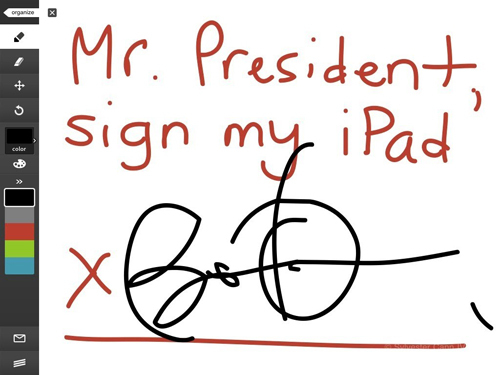 Il presidente Obama autografa un iPad. Steve Jobs non sembra avere dubbi. Il tablet porterà una rivoluzione tra i notebook paragonabile a quella che l'iPhone ha portato tra gli smartphone. 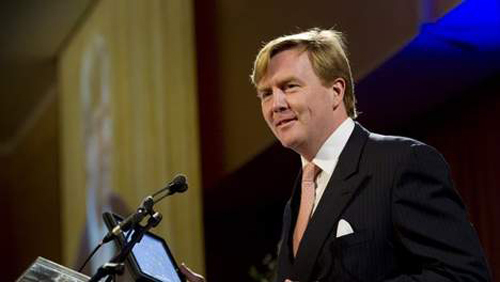 Il principe ereditario dei Paesi Bassi Willem-Alexander ha tenuto un discorso ufficiale leggendolo su iPad. Il tablet di RIM di cui si accennava qualche giorno fa. La risposta di RIM all'iPad avrà uno schermo da 7 pollici, potrebbe montare un paio di videocamere e sarà equipaggiato con una versione mobile del sistema operativo sviluppato da QNX. Non mancherà il fondamentale mercato di applicazioni dedicate. Da un anno si mormora sul fantomatico tablet di Google. L'anti iPad con il cuore targato Chrome OS, ma c'era chi giurava avrebbe montato Android. Ora i rumor si fanno più insistenti. Si torna a citare Chrome OS, una risoluzione di 1280x720 pixel, l'immancabile display multitouch, 2GB di RAM, un disco SSD da 32GB, ogni tipo di connettività (3G, WiFi, Bluetooth), più una webcam integrata. Con un possibile vincolo legato all'operatore Verizon. La data di uscita prevista coinciderebbe con il 26 novembre, il Black Friday. La particolarità dello schermo 4:3 del tablet Windows potrebbe aver un suo perché. Il futuro tablet WebOS di HP, il PalmPad, utilizzerà un pennino. If you see a stylus, they blew it. Nel giorno atteso da mesi dell'uscita di iPad le compagnie telefoniche si fanno trovare impreparate sull'attivazione delle nuove micro SIM. Se lo spot per lo sbarco della Stampa su iPad era soporifero quello del Corriere di De Bortoli è semplicemente imbarazzante. Una striscia di velcro. Ma si può rimediare. Lo spot de La Stampa, in occasione dell'uscita della versione ottimizzata per iPad, è talmente noioso e scontato da rendere irritante persino lo stesso tablet di Apple. Se iPad è una rivoluzione e lo sarà sempre di più per gli e-book e le copie digitali (o meglio i contenuti ottimizzati) di riviste e quotidiani grazie alle potenzialità che mettere in campo, è impensabile concepirlo come deus ex machina che risollevi il disastrato settore dell'editoria senza prima ripensare il modello di business che ha portato la carta stampata verso il baratro. Lo sta dolorosamente comprendendo Condé Nast dopo aver venduto soltanto 365 copie di GQ dal dicembre scorso. Lo sconto di due dollari, da 4,99$ a 2,99$, non è bastato per attirare lettori su un edizione identica all'originale cartaceo ed evidentenente giudicata troppo onerosa dai possessori di iPad. Se gli utenti di iPad sono oggi disposti a pagare per ricevere contenuti di qualità non lo sono - o almeno non lo sono a questi prezzi - verso pubblicazioni che non sanno sfruttare quel valore aggiunto che la piattaforma di Apple è in grado di offrire. Repubblica è il primo quotidiano italiano a presentare un'applicazione studiata per iPad, ma pare non incontrare il favore degli utenti. Google è pronto a lanciare il suo tablet con Android come sistema operativo. Non è difficile prevedere che questo device sarà il vero antagonista di iPad. Più difficile capire se e come riuscirà ad imporsi sul mercato e sul rivale. Quello di cui sono certo è che questo tipo di dispositivi, intuitivi, touchscreen, portatili, orientati al cloud computing, a basso costo, sarà il mercato su cui puntare nei prossimi anni. Paul Carr ragiona sugli effetti che iPad porterà sul nostro modo di relazionarci con la lettura. I suspect – will seem like great news to publishers, who are increasingly frustrated by Amazon's control over the ebook market. Having made a mental and financial commitment to their iPads, readers are unlikely to retreat back to their Kindles when their eyes start to hurt trying to read hundreds of pages on Apple's device. Instead they'll return briefly to physical books to scratch their long-form itch. They're still portable, affordable and readable – and carrying one with you doesn't feel like wasted space in a way that carrying a Kindle and an iPad would. Physical book sales will rise, Kindle sales will drop. Soon though, especially as more and more commuter friendly apps appear on the iPad and publishers push out more video content to further distract us from the need to read for prolonged periods, the idea of carrying a book will go back to seeming unnecessary. And at that point the iPad will indeed have killed the Kindle. But, for millions of casual readers, it will also have killed something far more valuable: the experience of reading for pleasure. Cody Brown allarga il discorso lanciando sul piatto la possibilità che i libri si trasformino in applicazioni, estendendo l'esperienza stessa di "leggere" un libro. It's not a problem that the experience of reading a book 'cover to cover' on an iPad isn't that great as long as there are better ways to communicate on the device. On the iPad there are. What's challenging for authors at this point is the iPad enables so many different types of expression that it’s literally overwhelming. Once you start thinking of your book as an app you run into all kinds of bizarre questions. Like, do I need to have all of my book accessible at any given time? Why not make it like a game so that in order to get to the next 'chapter' you need to pass a test? Does the content of the book even need to be created entirely by me? Can I leave some parts of it open to edit by those who buy it and read it? Do I need to charge $9.99, or can I charge $99.99? Start thinking about how each and everyone one of the iPad’s features can be a tool for an author to more lucidly express whatever it is they want to express and you'll see that reading isn't 'dead', it's just getting more sophisticated. There are literary techniques, there will be iPad techniques. Jay McInerney ha provato l'iPad, ma in casa non aveva il wifi. 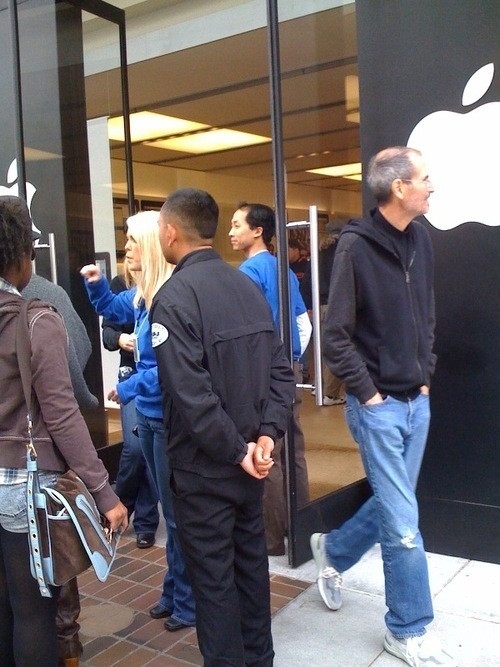 Steve Jobs esce dall'Apple Store di Palo Alto nel giorno del lancio di iPad. Pare non suscitare grande interesse tra gli astanti, forse troppo concentrati sul nuovo oggetto del desiderio. E' giornata di recensioni su iPad. 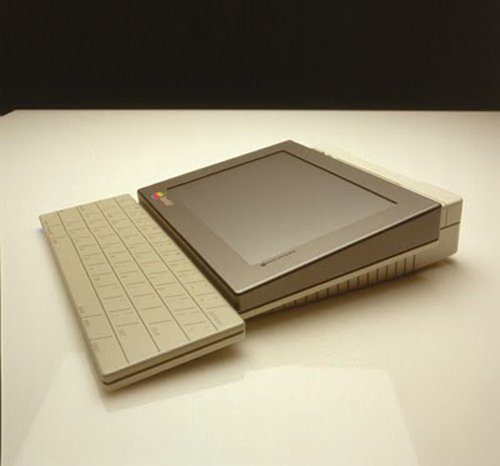 L'iPad se fossimo nel 1983. JooJoo, precedentemente conosciuto come CrunchPad, è finalmente pronto. Le vendite - per ora solo negli USA - partiranno il 29 marzo, qualche giorno prima del rivale iPad. JooJoo, che in Africa significa "oggetto magico", sarà un tablet da 12,1 pollici, con uno schermo capacitivo touchscreen con risoluzione 1366x768 pixel. Flash, 5 ore di navigazione sotto rete Wifi, videocamera, accelerometro, sensori assortiti e con soli 4 GB di memoria. A 499 dollari. La scommessa di JooJoo si gioca sulla rete. Internet sarà infatti la killer app di questo device. Questa sarà anche la principale differenza con iPad, con il suo OS derivato da iPhone e l'App Store. Anche Gruman pone l'accento su quanto sia avventato prenotare iPad ora. Meglio aspettare la seconda generazione. Remember, the same thing happened with the iPod Touch, Apple's iPhone-based PDA. The first-generation iPod Touch could play only a few sounds and even then only at a whisper, so its calendar alarms and new-email alerts were useless unless you wearing its earphones. You couldn't change the volume without using the touchscreen - a real issue when driving, jogging, or carrying groceries. There was no microphone, so you couldn't take voice memos or use services like Skype. (Apple even blocked external microphones from working on it!) Despite Apple making sure each iPhone OS revision has continued to support the first-generation iPod Touch, those hardware limits remain in the actual devices. You can bet that similar types of issue will be discovered in the first iPad. 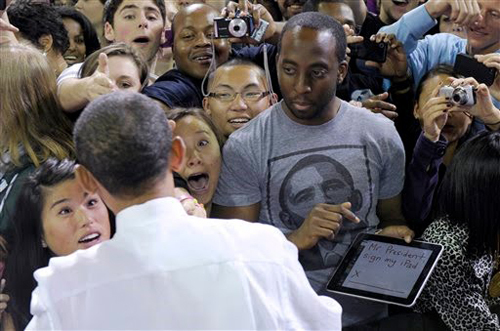 By now, we've all seen the iPad and know just about everything about it that we possibly can. But did you know that the secretive company may actually be hard at work on a second device already? Now, before I say anything else, take this information with a grain of salt. While it originated from a good source, it was a second-hand source. 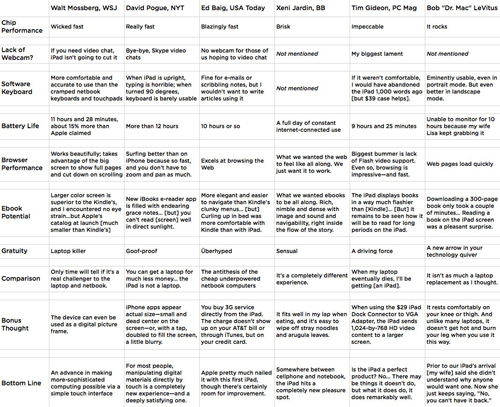 Meanwhile, I've corroborated some the main details with another source, but not some of the smaller ones. That said, from what I'm hearing, Apple is pretty far along on work on second tablet device. A bigger one. And this one may be much more like a Mac than an iPhone. Cos'è iPad. E' un nuovo prodotto che ne racchiude altri tre, un netbook, una console portatile, un ebook reader. Navigazione intuitiva, perfetta gestione delle email, prezzo contenuto, dimensioni perfette, una durata straordinaria della batteria, una tastiera generosa, un apprezzato e collaudato sistema operativo - milioni di persone lo sfruttano tutti i giorni con profitto sulla piattaforma iPhone - e iWork, che possiamo considerare come la prima killer application del prodotto, rendono iPad il netbook perfetto. La console portatile non ha bisogno di spiegazioni. Il multitouch, abbinato al sensore di movimento e alla generosità dello schermo confermano la volontà di creare un prodotto multimediale per tutta la famiglia. Se prendiamo in esame solo l'aspetto videoludico, la fantasia è l'unico limite. 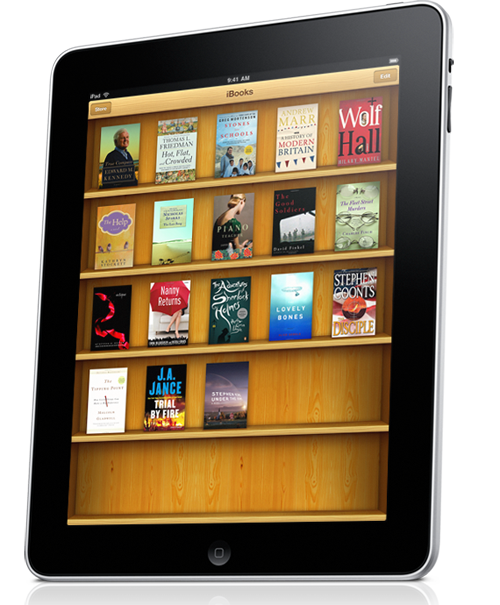 L'editoria elettronica e l'iBook store sono la seconda killer application di iPad. Le possibilità per gli editori di creare e riprodurre le loro pubblicazioni sono notevoli. Pensate all'infotainmet, alle graphic novel e ai fumetti, al comparto educational, ad uno store online con migliaia di titoli immediatamente scaricabili. Il limite paventato da molti della leggibilità probabilmente è molto sopravvalutato. In fondo passiamo già ore davanti a schermi retroilluminati tutti i giorni, a scuola, al lavoro, in casa, per strada senza neppure accorgercene. E' un limite culturale che andrà superato. I difetti tuttavia non mancano. Così come per il primo iPhone anche iPad non sembra completo. La risoluzione dello schermo è decisamente al di sotto delle aspettative. I costi di produzione ridotti evidentemente impongono i loro dazi. Multitasking e Flash sono assenti. Ormai è chiara la politica aziendale di Apple a riguardo. Bisogna farsene una ragione o puntare decisamente su altri device. L'iBook store USA centrico, come anche l'impossibilità per noi italiani di acquistare video, sono forse il motivo maggiore per evitare un acquisto affrettato del prodotto. Meglio forse aspettare che Apple stringa accordi commerciali con l'editoria e i media europei prima di mettere mano alla carta di credito. Meglio ancora sarà attendere la prossima versione, probabilmente quasi perfetta (iPhone vi ricorda qualcosa?) della "tavoletta" pensata a Cupertino. Il pad di Star Trek l'hanno presentato oggi. [19:15] niente Flash su iPad. Per essere figo è figo. iWork gli dà quel qualcosa in più. Un sicuro netbook killer e forse un possibile (qui lo schermo sarà fondamentale) ammazza Kindle. Poi forse non sarà nemmeno un problema di leggibilità. Pensate ai magazine. Perfetto. Ancora niente multitasking. Niente Flash. Dimenticavo. E' una stupenda console portatile. Non è poco. Sono sicuro che iBook Store darà vita a una nuova rivoluzione. 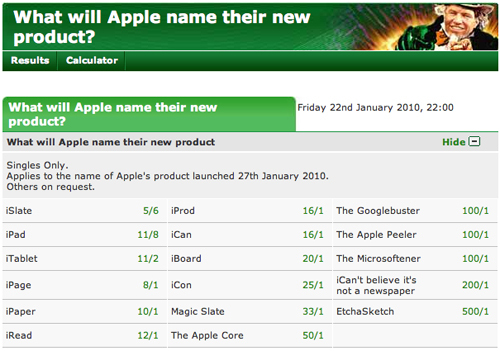 Su Paddy Power si scommette sul nome del tablet Apple. Il capitolo dei rumor sul futuro nome del tablet di Cupertino si arricchisce di un nuovo dettaglio. Secondo Mac Rumors l'ipotesi "iSlate" prenderebbe sempre più corpo, suffragata dai brevetti del prototipo di un tablet datato anni novanta - in realtà un Newton evoluto - progettato da Apple con il nome di MessageSlate. [29/12] Aggiornamento: spunta Magic Slate. Gli ultimi rumor sul tablet di Apple. Si bisbiglia una data. 26 gennaio. 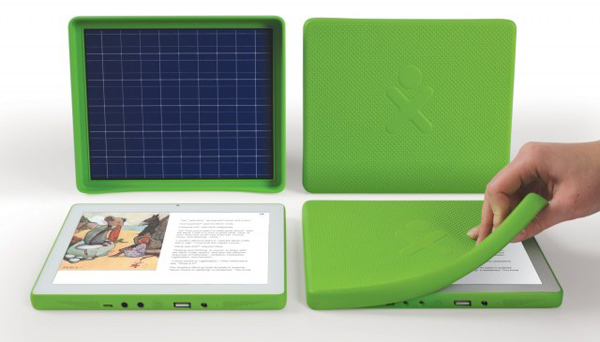 Il concept di Sports Illustrated per l'ipotetico tablet Mac è abbastanza impressionante. Qui lo si attendeva per Novembre. It was so close I could taste it. Two weeks ago we were ready to publicly launch the CrunchPad. The device was stable enough for a demo. It went hours without crashing. We could even let people play with the device themselves - the user interface was intuitive enough that people "got it" without any instructions. And the look of pure joy on the handful of outsiders who had used it made the nearly 1.5 year effort completely worth it. 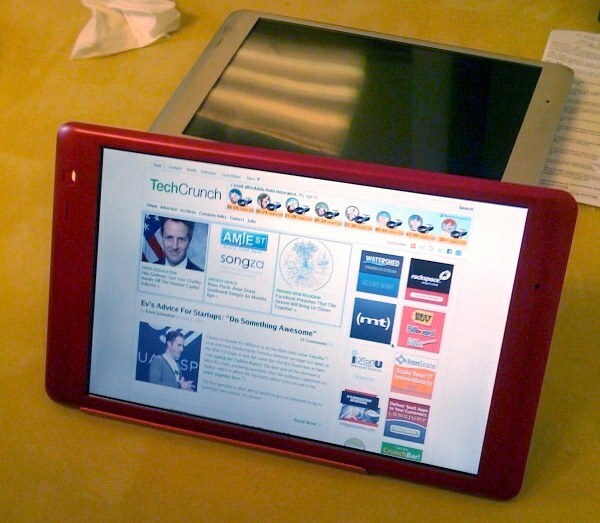 Our plan was to debut the CrunchPad on stage at the Real-Time Crunchup event on November 20, a little over a week ago. We even hoped to have devices hacked together with Google Chrome OS and Windows 7 to show people that you could hack this thing to run just about anything you want. We'd put 1,000 of the devices on pre-sale and take orders immediately. Larger scale production would begin early in 2010. And then the entire project self destructed over nothing more than greed, jealousy and miscommunication. Mentre Wired prepara il suo concept disegnato per il nebuloso iTablet (iPad, chiamatelo come volete), Gerald Sindell pubblica un articolo su Huffington Post dove dichiara di aver provato il dispositivo Apple addirittura per un giorno intero. Immediata la replica di TUAW, balle. Apple on Thursday made a subtle-yet-major revision to its App Store policy, enabling extra content to be sold through free iPhone apps. It's a move that immediately impacts the publishing industry, and it could pay even bigger dividends if the Cupertino, California, company indeed delivers its highly anticipated touchscreen tablet. While the most obvious beneficiaries would be app developers, a market segment that can also benefit from the new in-app commerce model are people and companies that create content and need to set up shop in a way that doesn't, in effect, charge someone for just walking in - like media publishers. Newspapers and magazines are reportedly in talks with Apple about repurposing their content onto a "new device", presumably the rumored touchscreen tablet Apple will deliver in early 2010. 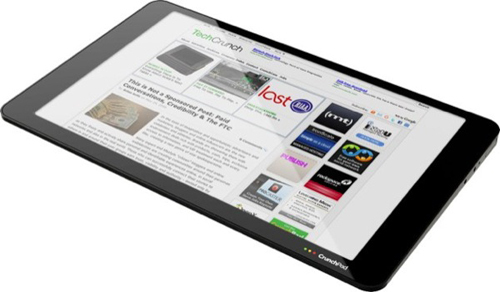 Numerous reports suggest an Apple tablet would have a strong focus on redefining print media. Enabling in-app commerce through free apps was a crucial move to help make this goal a reality. Il che equivale a dire che la modifica di Apple alle policy dell'App Store aprirebbe la strada alla distibuzione di news a partire dal prossimo futuro. Giusto in tempo per sfruttare le potenzialità del tanto rumoreggiato iPad. Voci insistenti parlano del 19 gennaio 2010 come data probabile per l'uscita di iPad. Il presunto tablet di Apple. 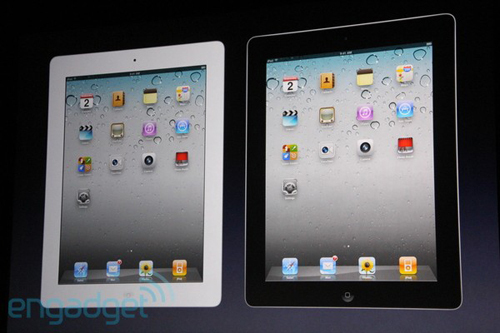 # Apple has created at least three separate prototypes of its tablet computer. Let's call it "iPad". 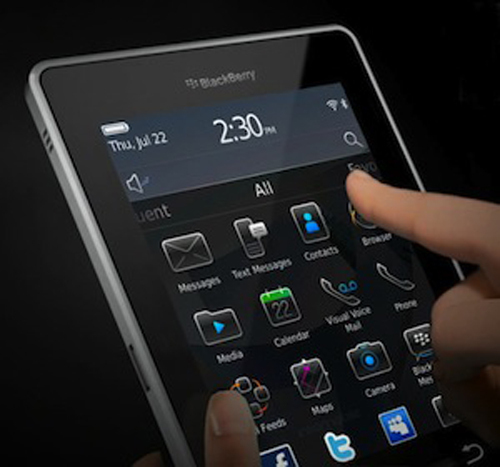 # Version 1 was designed with a 7" screen, which was judged to be too small. The latest version has a 10.7" screen. # It runs iPhone OS. # There have been reports that it looks like an iPhone. They're sort of true. It looks like an iPhone 3G, complete with a curved back. # It will come in two different variations: one with 3G networking capabilities, and one without 3G networking capabilities. Think of the 3G version as a bigscreen iPhone 3GS, and the non-3G version as a bigscreen iPod touch. # Screen resolutions will obviously jump considerably from the iPhone and iPod touch 480×320-pixel displays, enabling easy reading of full-sized book and magazine pages, plus cropped newspaper pages. Expect something like 5-6 times the resolution of an iPod touch or iPhone screen (720p or thereabouts) and 7 times the touchable surface area. # It is designed to expand the iPhone and iPod touch media concept to its next potential level: as a slate-like replacement for books and magazines, plus all of the media, gaming, app, and web functionality of the iPhone and iPod touch. # It is not meant to compete with netbooks. It's an iPhone OS media player and light communication device. # Apple is currently planning to announce it on or before January 19, 2010, and to use an iPhone-like hype buildup period to start selling it in May or June. # It is apparently awaiting a final green light from Steve Jobs; chances of it appearing in the market are believed to be 80% at this point. Il CrunchPad di TechCrunch arriverà a Novembre. Last we heard, TechCrunch's Michael Arrington wasn't ready to talk about a timeframe for the release of his self-proclaimed "science project", the CrunchPad tablet. That's not the case for The Straits Times, however, who've published an article claiming that developer Fusion Garage is aiming to get the device out to the masses by November of this year, just in time for Christmas shopping. The Singapore newspaper got a sneak preview of the device, as well as some new specs. The tablet reportedly about 2.64 pounds, has a 1.6GH Intel Atom and 1GB RAM (which we knew), a USB port for keyboard and / or mouse, built-in WiFi and 3G connectivity, and a port for mobile broadband. Price is estimated around $400, a little bit more than the $300 he pegged in April, but it's still being filed in the "unconfirmed" category for now -- hopefully it comes out a little leaner when this thing goes official. Un tablet da 12" pollici sotto i 300$. E' ciò che promette Michael Arrington, papà di TechCrunch. E' ciò che vorrei da Apple. Apple ha presentato il suo nuovo tablet in formato 7,9 pollici. Piccolo, performante, super sottile e con la stessa risoluzione di iPad. Il mercato dei tablet si arricchisce di un nuovo punto di riferimento. Steve Ballmer e Steven Sinofsky hanno presentato il primo tablet realizzato da Microsoft. Surface sarà disponibile in due versioni con schermo da 10,6" full-HD, tastiera opzionale magnetica e il nuovo sistema operativo Windows 8 che sposa la filosofia multitouch con la sua interfaccia Metro. Apple ha presentato la nuova versione del suo tablet che introduce un nuovo standard di risoluzione grafica per i concorrenti grazie al suo Retina display. In India è stato lanciato un tablet economico destinato agli studenti. Aakash, che in hindi significa cielo, è realizzato dalla britannica DataWind e costa appena 34 euro. Sottilissimo e dall'autonomia di 10 ore e un mese in standby, il nuovo iPad 2 monterà un Apple A5. Il primo tablet al mondo con processore dual core. Disponibile a partire dall'11 marzo, in Italia arriverà il 25 in due colorazione, bianco e nero. Il nuovo iPad monterà iOS 4.3, disponibile anche per i più recenti dispositivi mobili di Apple. A sorpresa il keynote è stato presentato da Steve Jobs in persona. Un segnale forte ed esorcizzante dopo le voci sulla sua malattia. Si chiama Consumer Electronics Show è la più grande fiera dell'elettronica di consumo al mondo. L'edizione di quest'anno sarà incentrata sul comparto che sta trainando maggiormente il settore, i tablet.